« Thinking tool. Visual Thesaurus. A STEP in the PINK direction. Electricity provider, Champion Energy Services, supported Susan G. Komen in Race for the Cure. 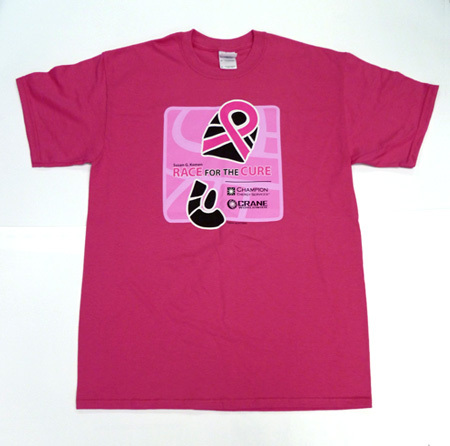 We designed a fun ‘shoe print’ logo featuring the pink ribbon for race shirts and signage. To expand on the design we used a service at Keds to create-your-own custom pair of sneakers. How cool is that? 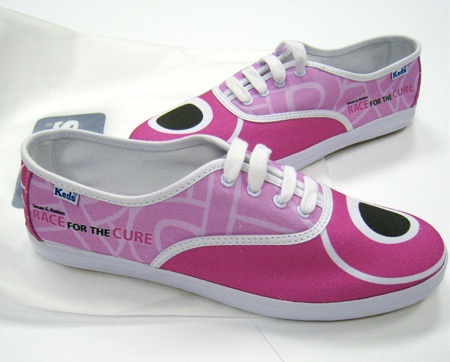 Easy enough for an amateur, we designed these funky Keds as a gift for Elizabeth Fordham, Champion’s then marketing guru. A little thank you for embracing our creative talent and partnering with us in the ‘zero to hero’ year that has become Champion Energy Services in 2010. Now these probably aren’t the most comfy sneakers to run the race in, but they sure are unique. This entry was posted on March 16, 2011 at 10:23 pm and is filed under Events, Non-profit, Uncategorized. You can follow any responses to this entry through the RSS 2.0 feed. You can leave a response, or trackback from your own site.